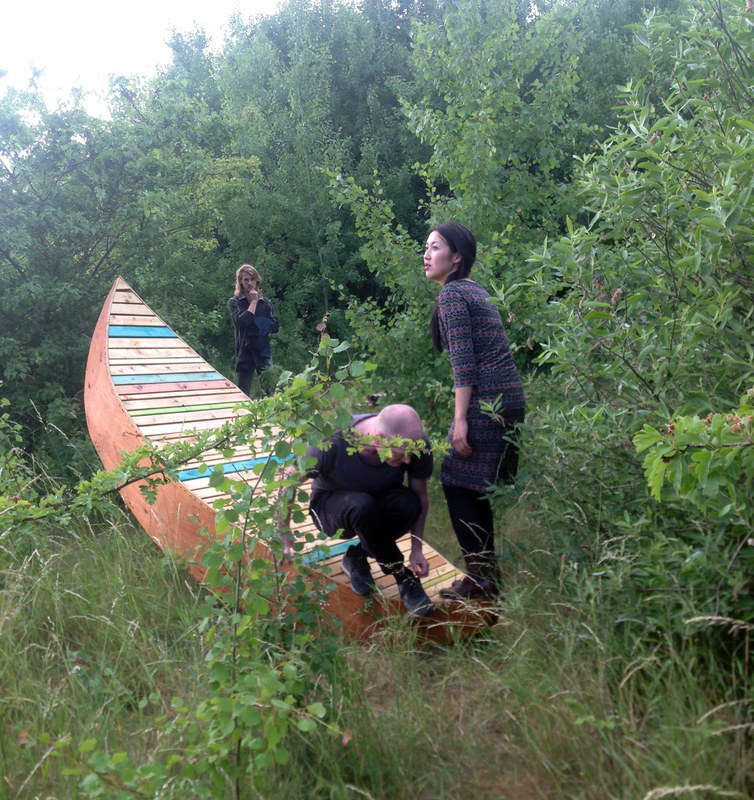 Landscape Scenographies (2016) are students at the Urban Intervention Studios by Bettina Lamm and Laura Winge, University of Copenhagen, who have designed and built six landscape scenographies that stage the landscape of Teaterøen by adding new layers of accessibility, experience and meaning. 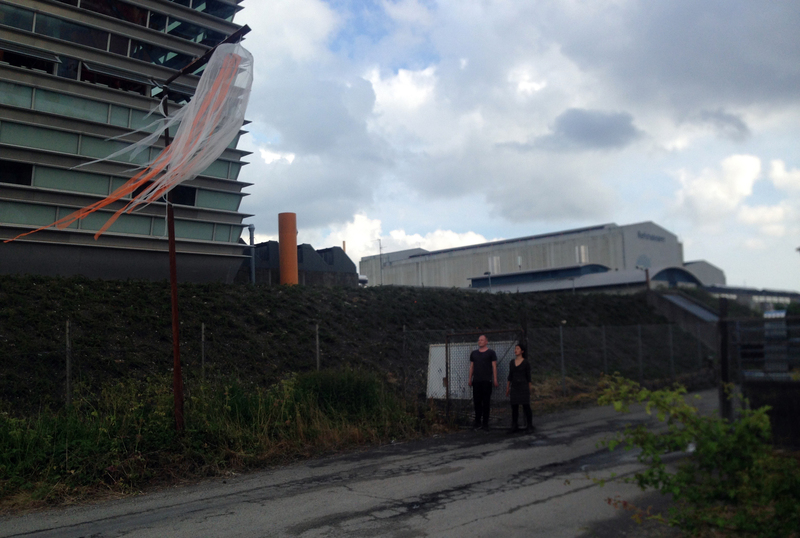 Linh Le and I was hired to activate the installations choreographically in relation to materiality and shape. 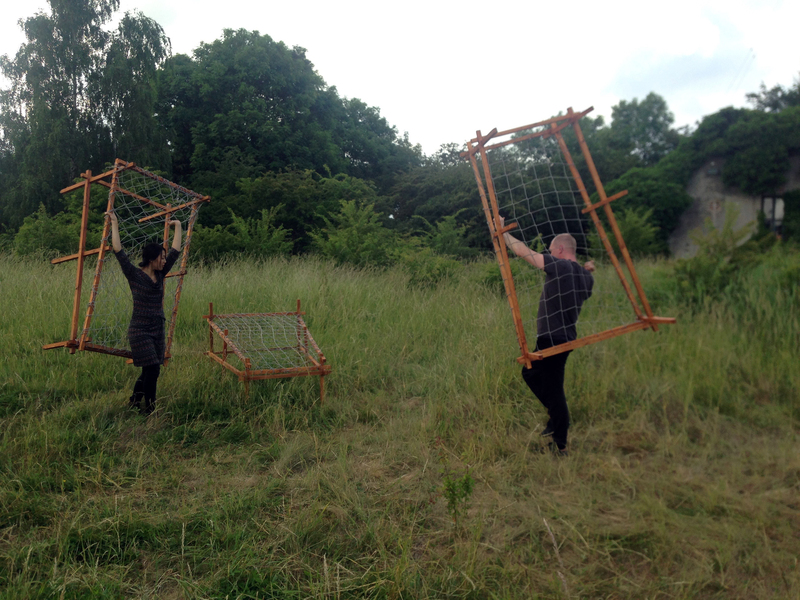 Together we improvised our way through the scenographies. It was a way for us to explore how choreographic manifestations of narratives help put new meaning in to materiality and shape. Narratives that was different than the traditional ones about a boy and a girl, because of our untraditional relation to the world given our status as minorities. This was our first step into the world of animality where we experienced how we were able to express repressed feelings.